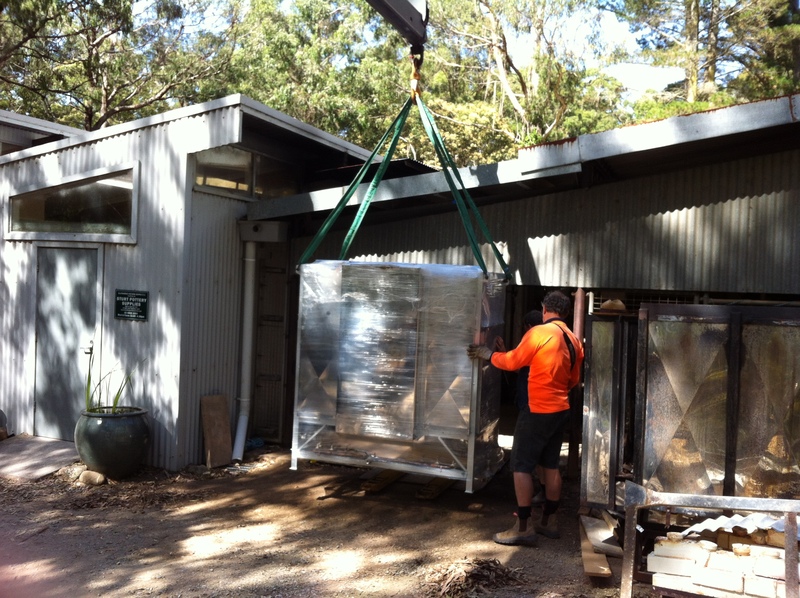 Two weeks ago on Friday I delivered a kiln to Sturt Pottery and then spent the next week welding up another order and delivered it to the Galvanisers on the next Friday. That was last Friday. 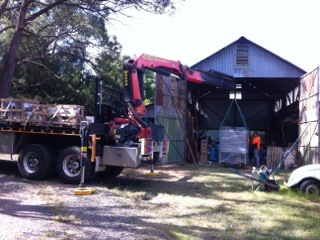 I spent this week welding up the next kiln order and delivered it to the galvanisers today – this Friday! While I was up there, I picked up last weeks kiln, that had been dropped off and dipped this time last week, all in the same trip. It’s good when things work out like that. After all, it’s a 3 or 4 hour round trip up to Sydney and back, so I like to make it pay. I swap this weeks black mild steel frame for last weeks shiny, newly galvanised one in the factory. I’m getting a head start on next years orders, so there won’t be any delay, as I know that I’m going to be very busy next year, with a lot of projects planned. So getting in early with all this intense work, is a way of banking time. So now I can take it a bit easier over Xmas and the new year, when we have a lot of guests planned to visit. 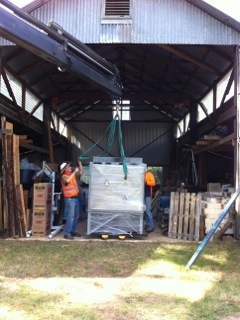 In the mean time, I also picked up a trade-back kiln. 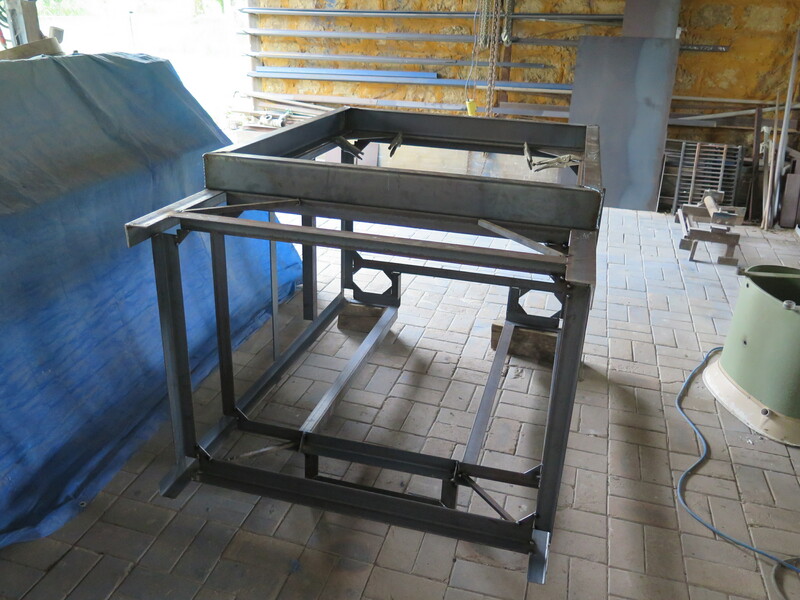 One of my kilns that has not had a lot of use, so I will do it up and offer it for sale as a 2nd hand kiln, but with a 12 months, as-new, new kiln warranty. I’d really like two get this job done before Xmas too, if I can squeeze it in. I’m starting to feel a bit tired after all this intense work. I need a couple of days in the garden to ground me and get the vegetables back up to scratch. It’s been so hot recently, up in the high 30’s recently. We have had to water morning and night to keep everything looking pert. It’s all I can do with all this welding to keep things alive. All the grass has dried-off and started to turn brown now. We have been lucky to have had a green vista for so long. In past years, during the dry times. The grass was all burnt off dry brown and crunchy in late spring. Yesterday, it was so hot, that I fuelled-up and commissioned the ‘house’ fire-fighting pump for the first time this summer, and used it to wet the roof of the house with rain water to cool the house down. It works like a charm and drops the temperature by 5 degrees inside the house within minutes. Nearly all the water is collected in the roof gutters and runs back into the water tank. It is a productive way to test out the fire fighting system early in the season, and get everything back up to scratch, before it is needed in an emergency, when there is no time to waste. For dinner I steamed a fillet of taylor and served it with freshly harvested kipfler potatoes and multi-coloured zucchinis, green, black and yellow. This was accompanied with a Japanese inspired green salad of red and green Mizuma leaves, rocket, shiso, red coral lettuce and green spring onion. Dressed with a finely sliced, filaments of roasted nori paper and a shiso dressing. I also salted some sliced cucumber and after draining, dressed it with sesame oil and some lightly roasted sesame seeds. It is all lightly aromatic, crunchy and goes well with freshly picked red French radishes. A multicultural Australian meal, perfect for summer. All these ingredients fresh from the garden, except the fish and the nori paper. It’s a wonderful reward for our efforts. 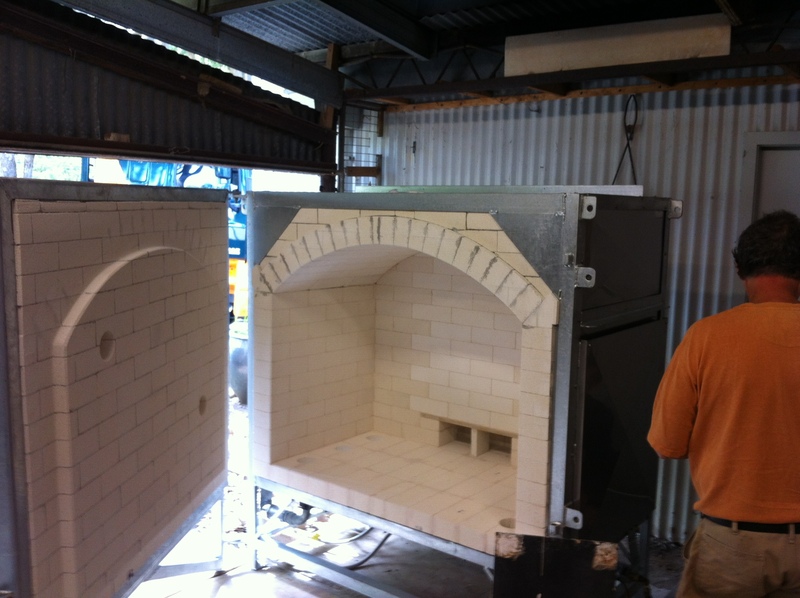 This entry was posted in kilns, self-reliance by hotnsticky. Bookmark the permalink.